Join NANO Fiction at New South Fest–an outdoor books and comics event on June 6th, 2015 at the French Legation Museum in Austin, Texas. It will be FREE & OPEN TO THE PUBLIC! New South features a book fair (with over 50 exhibitors) and cross-disciplinary panels. 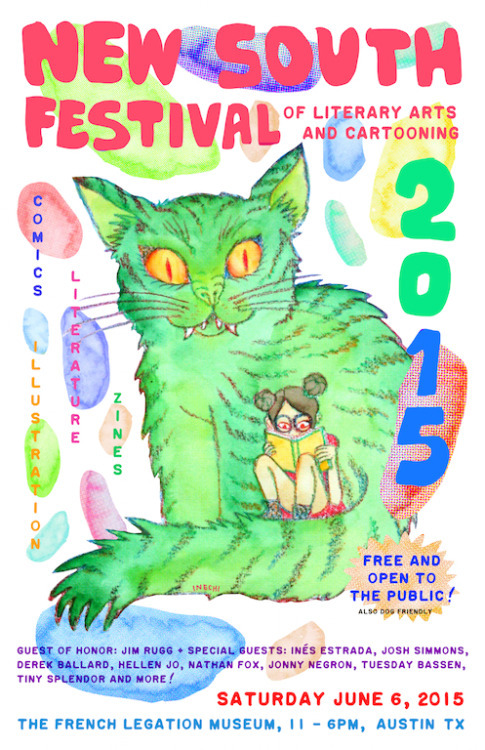 The festival’s goal is to celebrate independent literature, alternative comics, small presses, and print culture. It will be highly curated, focused, fresh, and irreverent.